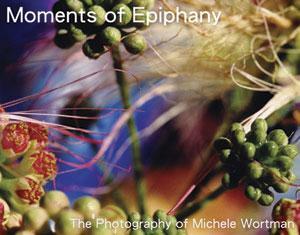 Michele Wortman's book Moments of Epiphany showcases her personal favorite choices from her vast archive of abstract and nature photography that she has shot over the past decade. It is presented in a large-format, horizontal layout in an archival hardcover glossy volume. 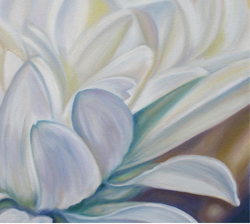 Every square inch of its full-color 160 pages is alive with color and texture. Although it features photos of some recognizeable subjects, the majority of the book leans toward a form of hallucinatory abstract realism that will bewilder and astonish the viewer. Moments of Epiphany includes a 74 minute CD soundtrack, from Michele's musical project Sunchannel, that was written specifically to accompany the imagery in the book.